The Dawn spacecraft has just completed the final and most challenging of the environmental tests needed to prepare for its launch and travels through space. During the past month, it has endured the extreme heat and cold of spaceflight in a large vacuum chamber at the Naval Research Laboratory (NRL) in Washington, DC. In the last few months of 2006, the spacecraft underwent a broad range of tests at Orbital Sciences Corporation in Dulles, Virginia. It passed all of them, and for graduation the spacecraft, along with its retinue of mechanical and electrical test and support equipment, was sent on a pleasingly uneventful drive to NRL during the first weekend in January. Once it arrived, preparations began immediately for the next set of tests in NRL’s thermal vacuum chamber. After the spacecraft and special monitoring equipment were installed in the chamber, plates whose temperature could be individually controlled were positioned around the spacecraft to ensure the desired thermal test conditions could be achieved. Pumps began removing air early in the evening of January 23, and by the next morning, the interior of the chamber was more than 100 million times below normal atmospheric pressure. Dawn experienced the same vacuum condition last summer, but that was to drive off contaminants. This time, the goal was to operate the spacecraft in ways similar to what it will face during its mission. By subjecting it to heat and cold, and testing the performance of its subsystems under both extremes, the engineering team could verify that the critically important thermal control subsystem will be able to keep temperatures within desired limits throughout the full range of conditions Dawn will encounter in space. The enormous solar arrays had been removed at Orbital and will not be reconnected to the spacecraft until April. The vacuum chamber at NRL is not large enough to accommodate the arrays when they are open, extending 19.7 meters (almost 65 feet) tip-to-tip. If they had been in their stowed, or folded, position for these tests, as they will be when on the rocket, they would have covered parts of the structure that are supposed to be exposed in space. That would have retained heat inside the probe and prevented these tests from accurately duplicating the temperatures it will experience in space. After the chamber pressure was reduced, the temperature was raised gradually to 45°C (113°F) and held there for almost a week while engineering and science subsystems were put through their paces. Following that, quite unaware of the hibernal, but comparatively balmy, conditions outside NRL, the spacecraft was brought to -25°C (-13°F) for several more days of tests. Although it is designed to operate under these conditions, few of the Dawn team members are well suited either to working in the absence of air or at such temperatures. Therefore, on February 8, when the time came to make planned changes in the test configuration, the chamber was brought back to normal atmospheric pressure and temperature so people could enter. Tests resumed the next day under vacuum. Among other activities in this second phase, some mission scenario tests were conducted. Unlike the many tests focused on individual subsystems, these were designed to make the subsystems work together as they must when Dawn is operating in orbit around distant Vesta, the first of its mysterious and enticing destinations. In fact, the mission scenario tests provide an opportunity to assess even more than the collective performance of the subsystems; the spacecraft and some of the systems in mission control operate together in much the same way they will during the mission. On February 14, Dawn’s ion propulsion system was powered on for its long-awaited “hot fire test.” (Your correspondent -- ever the romantic -- conducted what proved to be an unsuccessful search for a Valentine’s Day card that appropriately expressed the sentiments associated with such an experience.) The ion propulsion system cannot operate in normal atmospheric pressure, so although its individual components had been tested quite extensively, this was the only opportunity to test them all together. The digital control interface units, power processor units, xenon feed system, and thrusters all performed beautifully. The extremely gentle thrust, as described in the last log, caused no more movement of the spacecraft than if a piece of paper had been lain on it, but the team certainly felt a powerful boost to see the bluish glow of the thruster and gain one more indication that Dawn is getting close to flight. The spacecraft has 3 thrusters, with only 1 to be operated at a time in the mission. In this test, one of them could not be fired because it was blocked by hardware supporting the spacecraft. That thruster still had a nearly full test. It ionized xenon but did not apply the voltage needed to accelerate the ions. Between the other 2 thrusters, the ion propulsion system operated at 5 different throttle levels for a total of 34 minutes of thrusting. To generate propulsion, the thrusters emit high velocity xenon ions. The impingement of those ions on nearly any object, including the chamber wall, could erode it, blasting off contaminants that could settle on the spacecraft. Therefore, specially designed targets were positioned about 2 meters (almost 7 feet) from the thrusters. Myriad specially oriented fibers of carbon on the targets captured most of the materials that the ions would otherwise have liberated. Sensors located in the vicinity proved that this system did indeed prevent adverse levels of contamination from accumulating. In fact, it worked so well that the hot fire test could have continued longer than planned, but there was no need for an extension. The thermal vacuum testing concluded on February 17, and the spacecraft was removed from the chamber two days later. As the operations in the vacuum chamber were so intensive, with the team working around the clock, a tremendous amount of data was collected, and it will require several weeks for engineers to analyze all of them. Serving its purpose well, however, the test has already pointed to several changes that will bring the maturing space probe closer to its final readiness for flight, such as adjusting the size of some heaters, the amount of insulation over certain components, and the values of parameters in software that control temperatures. 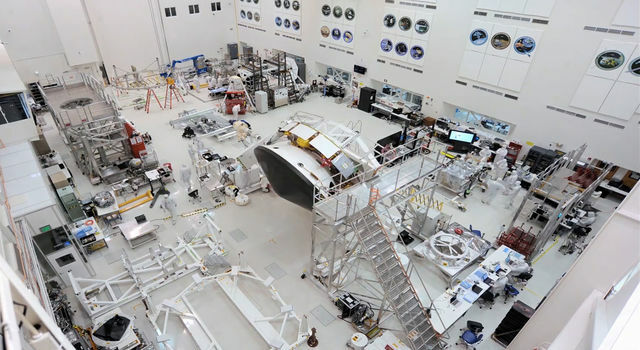 While this and other work is being conducted on the spacecraft, the unit that governs the delivery of electrical power from the solar arrays to the onboard subsystems will be removed and returned to JPL where engineers will make some modifications. With the thermal vacuum work having been completed, representing the end of Dawn’s many months of environmental testing, this would conclude our update on Dawn’s progress, were it not for an item we report on with some pride. The last log was chosen by readers on a majority of planets surveyed as being among the 1000 “Most Interesting Dawn Articles Written on December 28, 2006.” Lest this be misinterpreted as being even more prestigious than it is, it should be revealed that this recognition applies only in the category of articles of 1900 - 2000 words (in the original language). Nevertheless, it is this kind of appreciation that makes the many seconds of writing seem worthwhile. This surge in interest may be attributed to the inclusion of an explanation of the principles underlying the ion propulsion system (IPS), the remarkable technology that enables Dawn to undertake its unique and exciting mission. Thus, to build upon the success of the previous log (and, by the way, to fulfill the promise in that log’s final paragraph), it may be interesting to explore how the IPS is used and why it makes operating Dawn different from deep space missions with conventional propulsion. We’ll see much much more about this as we join Dawn on its long flight through space, but for now, let’s take a very brief look at how spacecraft reach their extraterrestrial destinations and see some of the differences when ion propulsion is used. The physics that explains the complex beauty of orbital ballet tells us that the velocity of any object in orbit around the Sun, be it one of humankind’s interplanetary robotic explorers or the solar system’s natural residents of planets, asteroids, and comets, depends upon the exact shape and size of its orbit and where it is in the orbit. All orbits are ellipses (like squashed circles, or ovals in which the ends are the same size), but the degree of flattening and the overall size allow for an infinite range of theoretically possible orbits (including perfect circles). Because of our understanding of the mathematical principles, if we know the orbit, we can calculate the velocity at any position in the orbit; if we know the velocity at any one position, we can calculate the entire orbit. We also know that if we change the velocity at any position, the overall shape and size of the entire orbit will change. Celestial navigators have developed remarkably sophisticated methods of using these seemingly simple principles to achieve astronomical accuracy in flying throughout the solar system. To deliver a spacecraft to its remote destination, engineers use the nature of orbits to choreograph the perfect cosmic dance, ensuring that the individual performers (such as the spacecraft and the planet it will explore) arrive at the same spot at the same time. Interplanetary missions with conventional chemical propulsion rely on a powerful rocket to be thrown from Earth into orbit around the Sun, after which they spend months or years following that orbit, coasting to their targets. On occasion, the flight may be interrupted by a brief firing of the spacecraft’s engine to adjust its course or a more dramatic passage by a planet whose gravity alters the orbit, thereby boosting the probe on its way, but for the most part, the journey is a very passive one, with the craft doing little to help itself along. Upon reaching its target, it fires up its engine again to veer into its new orbit. In effect, most missions floor it very briefly and coast most of the time. The use of the IPS creates a very different situation. The rocket does not place Dawn into an orbit that will intersect the orbit of its target. Dawn is so much more capable of its own maneuvering, that it relies on the rocket only to propel it away from Earth. Once its journey has begun, it steers its own course. By thrusting gently but persistently for years, Dawn constantly reshapes its orbit around the Sun. The flight profile -- the direction and timing of the thrusting -- is calculated to smoothly sculpt Dawn’s orbit, gradually changing the trajectory so that it is identical to that of its quarry. With its amazingly low rate of fuel consumption, Dawn will spend most of its mission with a light touch on the accelerator. Contrary to common intuition, unlike missions with chemical propulsion, Dawn will not have to execute a special, dedicated ion thrusting maneuver to get into orbit around Vesta or Ceres. Indeed, the thrusting to arrive in orbit will be no different from the years of thrusting that precede it. With the utmost elegance, Dawn will approach each target very slowly because, under the influence of its IPS, its orbit around the Sun will slowly take the required shape. Instead of veering and swerving, Dawn’s maneuvering will be characterized more by grace and delicacy. As it creeps up on an asteroid, it will slip into orbit so gently that a casual observer would not even notice the transition. One of the many consequences of the whisper-like force of the IPS is that engineers must ensure that the flight profile allows enough time to accomplish the needed thrusting. 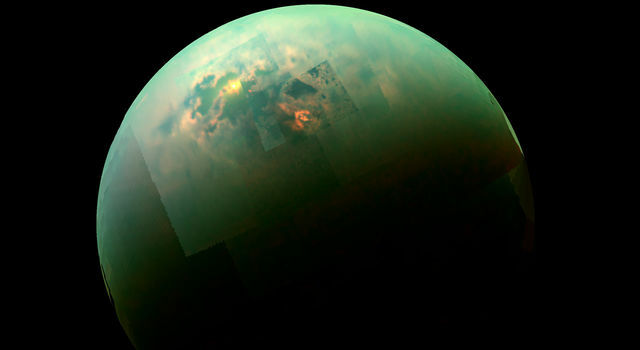 Because of the rigors of space travel and the complexity of spacecraft engineering, all probes experience the occasional unexpected event that interferes with planned activities, and much sophisticated work is devoted to developing systems to safeguarding the lonely craft when such anomalies arise. So the Dawn mission must be designed to account for the inevitable glitches that will interrupt thrusting, whether they be from a burst of cosmic radiation, a software bug, or a balky component. For a conventional planetary orbit insertion, if the maneuver of a few tens of minutes were missed, the objectives of the entire mission would be lost -- there can be no second chance. Propulsion then is truly vital, so most missions have very short periods of extremely high vulnerability and long periods of no vulnerability at all. A great deal of effort is devoted to protecting the critical minutes. With ion propulsion, missions generally have very long intervals of low vulnerability. Part of the arcane science of formulating Dawn’s flight profile is ensuring that the mission can tolerate weeks of missed thrusting at any time and still make its way to the distant worlds Vesta and Ceres to help unlock the secrets they hold. Dawn’s next destination is Cape Canaveral. We will check in again in April once the spacecraft has arrived at that familiar part of the solar system to begin final preparations for launch.